CG Says: For 2018, Jeep Grand Cherokee gains a new 707-horsepower Trackhawk model that is capable of accelerating 0-60 mph in 3.5 seconds. 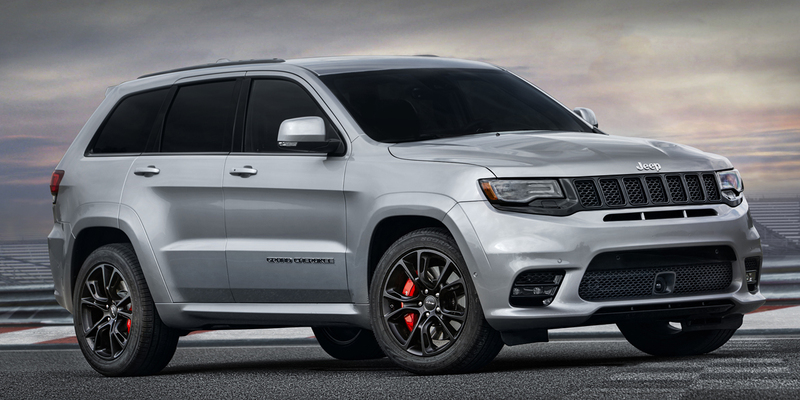 Another new model is the Sterling Edition that commemorates Grand Cherokee’s 25th anniversary. All Grand Cherokees now have standard Apple CarPlay and Android Auto capability. The base touchscreen grows from five inches to seven. The available 8.4-inch Uconnect touchscreen now has pinch and zoom capability and higher resolution. 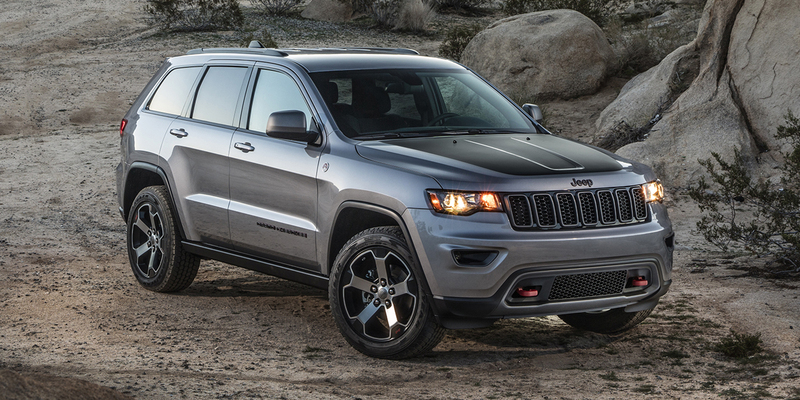 Grand Cherokee is a crossover midsize SUV. Jeep offers a wide choice of engines with horsepower ranging from 240 to 707. The base engine is a 295-hp 3.6-liter V6. A thrifty 240-hp 3.0-liter diesel V6 is optional. Three V8s are available: a 360-hp 5.7-liter, a 475-hp 6.4-liter, and a 707-hp supercharged 6.2-liter. All engines are paired with an 8-speed automatic transmission. 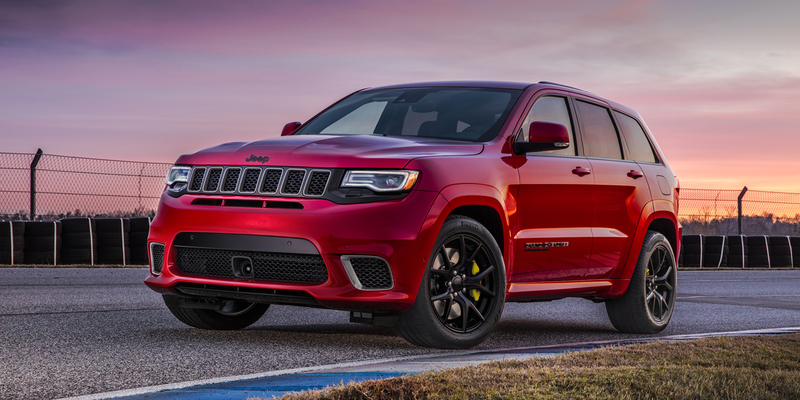 SRT and Trackhawk have standard all-wheel drive, while other models are available with rear-wheel drive or 4-wheel drive—except the off-road oriented Trailhawk which is 4WD only. A 2-speed transfer case is optional. 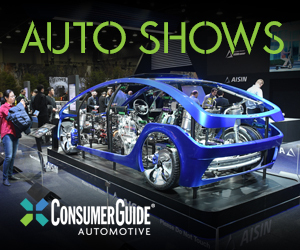 Available features include autonomous emergency braking, lane-departure warning, rear cross-traffic alert, adaptive cruise control, parallel parking assist, trailer-hitch camera, panoramic sunroof, and power tilt/telescoping steering wheel. Grand Cherokee has evolved into sort of a poor-man’s Range Rover, and that’s not a bad thing. It can be equipped for severe off-road use or country club luxury–or both–and that helps set it apart from its 5-passenger rivals in this class. So do its higher towing limits. 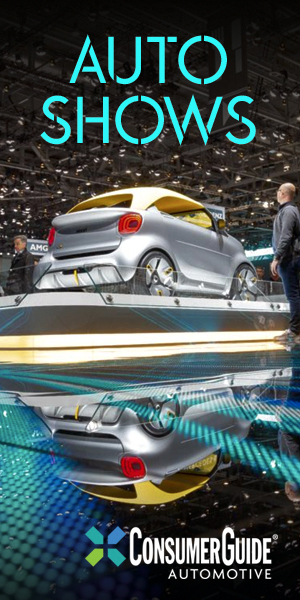 But most buyers who want a midsize SUV for more normal driving will likely find others in this class to be a better value from a features-per-dollar standpoint.